Beautiful 2 in 1 snack & drinking bottle. 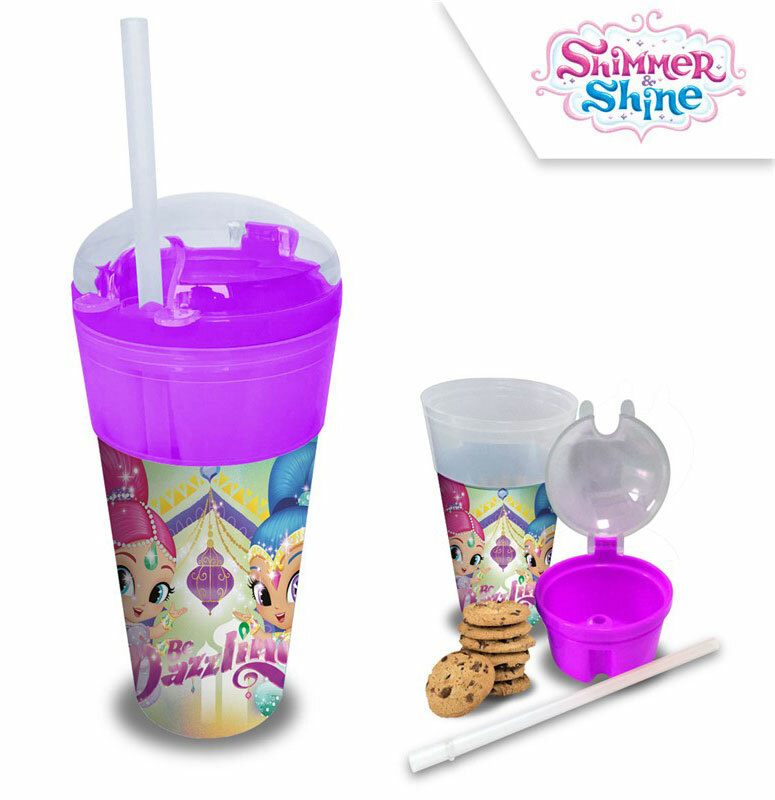 With a special compartment to store your cookies and biscuits and also a detachable straw. Made of durable plastic and with a capacity of 500ml these gorgeous bottles are perfect for school and travel.